Some readers may be interested in the background learned articles that backup any information on the website. Here is a selection I find useful. The Clinical Standards Advisory Group was set up in 1991 as an independent source of expert advice to the UK Health Ministers and to the NHS on standards of clinical care for, and access to and availability of services to, NHS patients. In October 1992 CSAG was asked by the Health Ministers to "advise on the standards of clinical care for, and access to and availability of services to, NHS patients with back pain". More details on this report is here. education on prevention and personal responsibility for continued management. Such manual therapy is provided by osteopaths, chiropractors and physiotherapists and the CSAG Report acknowledges that osteopaths and chiropractors, and to a lesser extent physiotherapists, have specific professional training and expertise in manipulation. The CSAG Report states that there is no convincing evidence that lumbosacral X-rays are necessary before manipulation. Conclusions Relative to "best care" in general practice, manipulation followed by exercise achieved a moderate benefit at three months and a small benefit at 12 months; spinal manipulation achieved a small to moderate benefit at three months and a small benefit at 12 months; and exercise achieved a small benefit at three months but not 12 months. To read the whole report click http://www.bmj.com/content/329/7479/1377.full?ehom=. C.C. Gunn, W.E. Milbrandt, A.S. Little, and K.E. Mason; Spine (Phila Pa 1976). 1980 May-Jun;5(3):279-91. 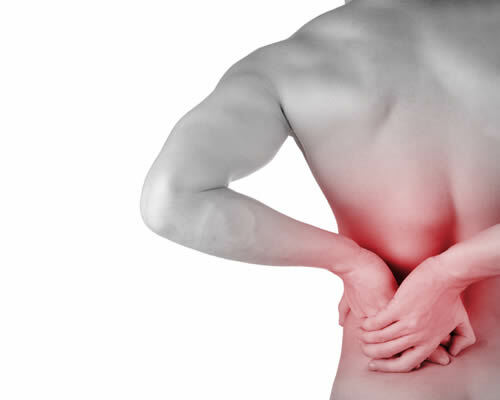 National Institute of Clinical Excellence Guideline - Low Back Pain - Early management of persistent non specific low back pain.